Home / Android / Buying / OnePlus / OnePlus4 / OnePlus 4 Release Date, Specs: New Phone to Give iPhone 7 tough Competition? OnePlus 4 Release Date, Specs: New Phone to Give iPhone 7 tough Competition? 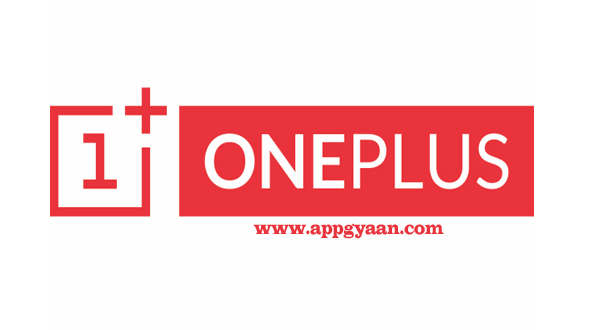 OnePlus is one of the coolest Chinese start-ups which made its mark in the market with the quality and durability. They became very famous with their first Phone (OnePlus One) and tag line “flagship Killer”. The devices from the company are really a flagship killer as the combination of specification and price. Recent released device from the company, OnePlus 3 is doing good business in the market. Now, the company is reportedly started working on the new OnePlus 4. Although OnePlus has not yet announced anything about OnePlus 4, rumors suggest that the company will improve RAM and inbuilt storage. The current OnePlus 3 offers 6GB RAM. Customers can expect 8GB RAM in the next iteration of OnePlus. The device could have up to 256GB external storage support via microSD card. These features will let OnePlus to stand among the biggest smartphone manufacturers or even above. Samsung is offering 4GB RAM in Note 7 while Apple’s iPhone 7 is equipped with 2GB of RAM. Thus, it will be exciting to see the massive 8GB RAM in OnePlus 4, reported Know Your Mobile. LeEco upcoming device Le 3pro is also expected to launch with 8GB or RAM and without headphone jack. The current offering from the OnePlus, OnePlus 3 is pretty good in terms of body build, so the company may retain the design. Moreover, the new device may include a similar Optic AMOLED display as well. OnePlus 3 is powered by the Qualcomm MSM8996 Snapdragon 820. If OnePlus 4 will receive an upgrade, buyers can expect the new phone to sport the Snapdragon 830 processor. Furthermore, the device could feature improved cameras as well. OnePlus 3 includes a 16MP main camera. Reports suggest that the company could use a 21 or even a 23MP main camera in the OnePlus 4. The device may feature a dual-camera to provide competition to other devices with similar features, some reports claim. OnePlus revealed OnePlus in April 2014, OnePlus 2 in July 2015 and OnePlus 3 in June 2016. If the company follows the scheduled release as before, the OnePlus 4 could be seen in mid 2017. Since the price will depend mainly on the final specs of the device, the OnePlus 4 price cannot be predicted yet. OnePlus launched its first handset with the price tag of $349. The company launched OnePlus 2 with a $389 price tag. The latest, OnePlus 3 was launched for $399. If it follows the same range, the OnePlus 4 could be expected to cost around $400. As of now there is no official announcement about the device, and the leaks and report should be taken with the pinch of salt, till the time we hear from the horse mouth. So guys what do you think about the upcoming OnePlus 4, let us know in the comment section below. when it releases because of the extraordinary features it would have. To know more about OnePlus 4, its OnePlus 4 Release Date just take a look here.